After 15 years at OCCC, Jessica Martinez-Brooks, will leave her position as director of Community Outreach and Education on March 25 to pursue a new challenge at the University of Oklahoma. The decision to leave OCCC and accept the role of Director of Diversity Enrichment Programs at OU was one of the most difficult decisions of her life, Martinez-Brooks said. She said she currently oversees a variety of community outreach programs at OCCC designed to prepare families to thrive in the education system or in the workforce. There is a total of 1,707 students currently enrolled in the high school equivalency classes and 2,601 students enrolled in the English Spanish language classes, Martinez-Brooks said. “My favorite aspect of the job is the community we serve,” Martinez-Brooks said. Most of the programs are free or low cost and include early college awareness for children, citizenship classes, and ACT prep to name a few Martinez-Brooks said. The off-campus Capitol Hill Center, also under her direction targets job readiness and bilingual education classes among other programs. Oklahoma City School Board member Gloria Torres has worked with Martinez-Brooks over the past two years. The Capitol Hill Center is located at 123 SW 25th Street. Torres said the department was made up of two people when Martinez-Brooks first took the role of director and under her leadership, the department has grown to have over 110 employees. “OCCC is an institution she believes in because of what we do for our community, and that’s what her life is about, serving the community,” Torres said. 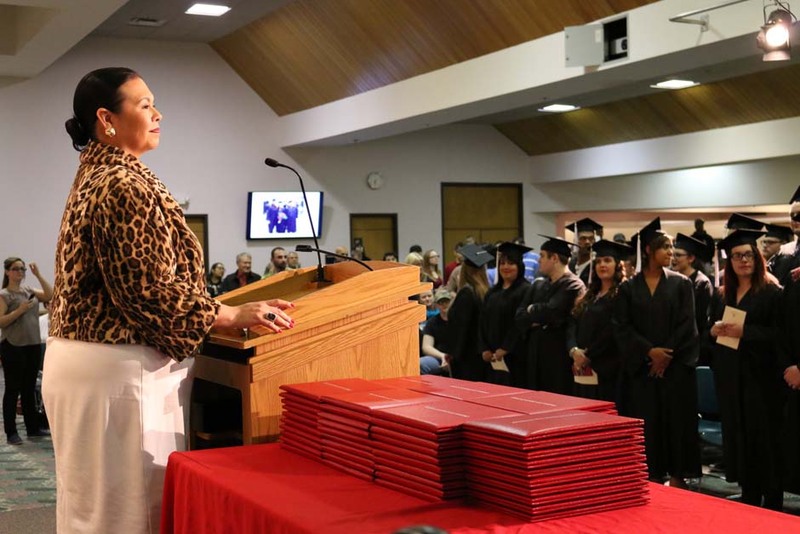 Martinez-Brooks said she was born and raised in south Oklahoma City and decided to attend OCCC when she was offered a generous scholarship covering her tuition costs for two years. Her ties to OCCC are not only that of an employee but as an alumni as well. Martinez-Brooks said she graduated with an associate in arts in journalism, was the editor for OCCC’s student newspaper, the Pioneer, and was actively involved on campus as a college student. Martinez-Brooks said she has a bachelor’s degree in journalism and a master’s in administrative leadership from OU. Outside of work, Martinez-Brooks currently serves on the board of directors for Teach for America and the Regional Food Bank of Oklahoma. In 2014, she was recognized with the Director’s Community Leadership Award from the Federal Bureau of Investigation. Martinez-Brooks said her biggest influence and mentor growing up was her late grandmother, Anita Martinez, who was a very active volunteer in the Hispanic community in south Oklahoma City. Martinez-Brooks said she loves what she does, is committed to her community, and wants to continue to grow and learn. Torres said she will serve as the acting director of Community Outreach and Education when Martinez-Brooks heads to OU. “This move is not only a great opportunity for her, it’s a great opportunity for our community because she’s going to do at OU what she’s done here,” Torres said.